This will take in buildings designed by Lutyens or associated in some way with him. It will begin at Lutyens’s council flats designed in 1928 for Westminster City Council on land donated by the Duke of Westminster. We will also look at the exterior of 36 Smith Square. Built as a London townhouse for the Rt. Hon Reginald McKenna, it’s in a subtle neo-Baroque style in homage to Thomas Archer’s church St John’s, Smith Square (now a concert hall), which it faces. 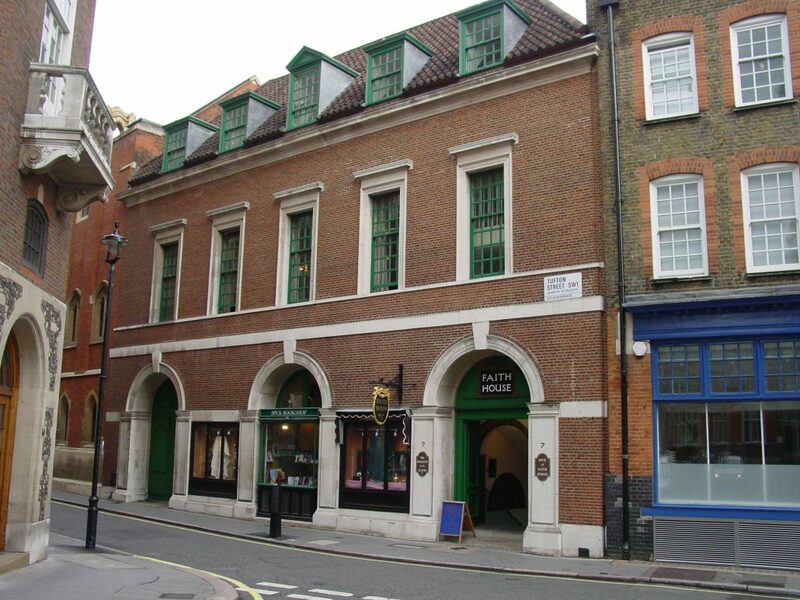 We will then look at the exterior of The Corner House, Cowley Street and 8 Little College Street, designed in 1911 for Lady Norman and her brother the Hon Francis McLaren, a Liberal MP. The eldest daughter of Sir Herbert Jekyll, Barbara, married McLaren in 1911. The Corner House is built of bluish brick with some admixture of red and stone for cornices, door and window jambs — the same materials used for 36 Smith Square. Gayfere and North Houses, two houses designed by Lutyens’s pupil, Oliver Hill in 1931, stand opposite. Externally these show Hill’s admiration for Lutyens and his sympathy for the local style, although it has a more playful air. From there, we will go to 16 Great College Street. One of its occupants, the Hon Alfred Lyttelton, brought Lutyens in, in 1912, to make alterations to the building and these were finished in 1900. At the same time, Lutyens also built country house Greywalls for him in Scotland, which he sold in 1906. 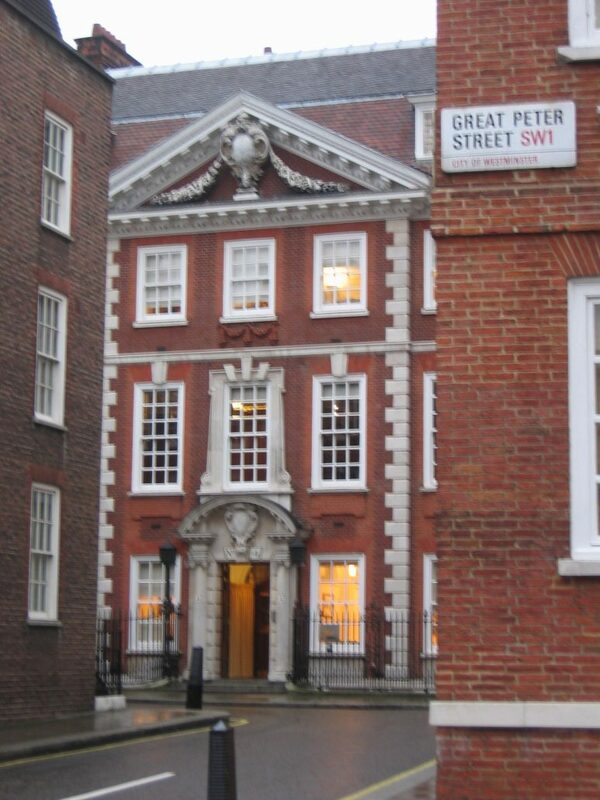 St John’s Institute, Tufton Street was designed by Lutyens as a parish hall for St John’s Church, Smith Square, where Archdeacon Wilberforce, a friend of Lutyens’s parents, was the rector. 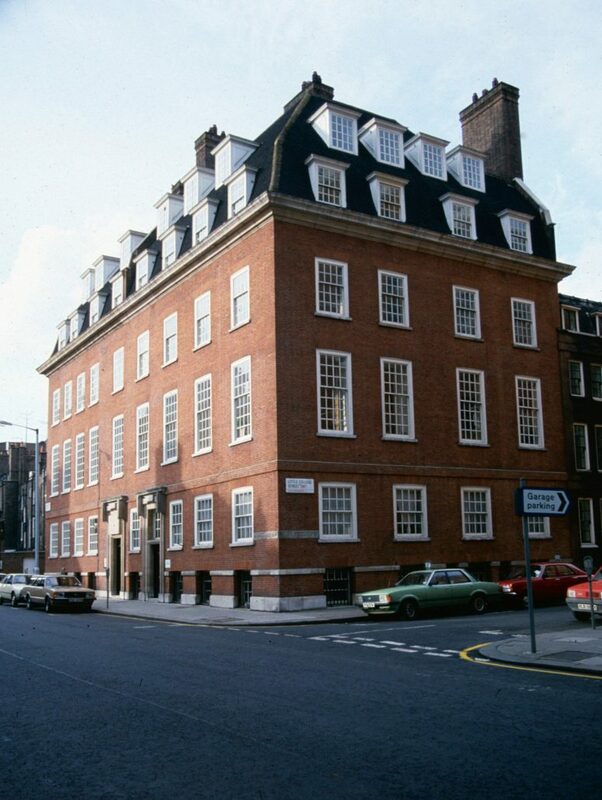 At 15 Queen Anne’s Gate, we will find the home of Country Life magazine founder Edward Hudson, altered internally by Lutyens in 1906 and, at 17 Queen Anne’s Gate, Lutyens’s own offices, built from 1910 to 1931. Lutyens converted nearby Numbers 10 to 12 Buckingham Street into one house for his brother-in-law, the 2nd Earl of Lytton. 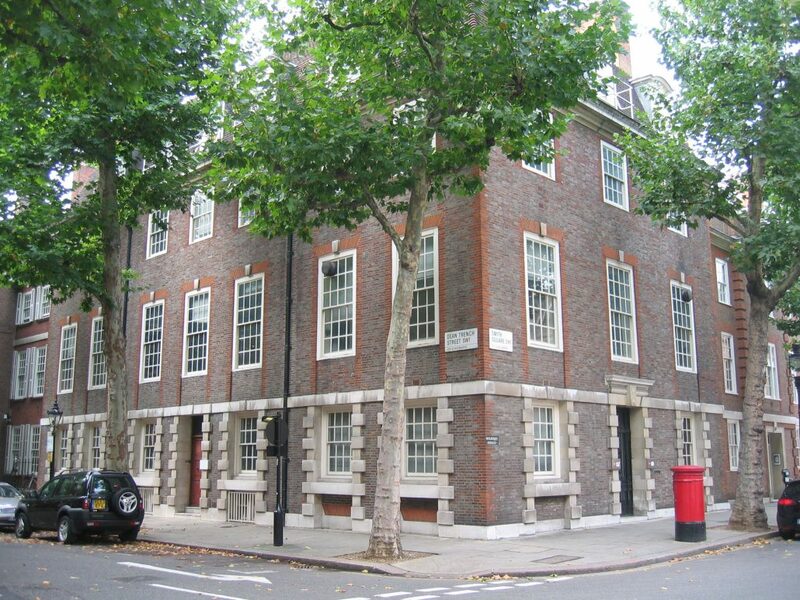 We will pass 15 Catherine Place, designed in 1938 by Edwin’s son Robert Lutyens for the Hon James Borthwick, and 16 Stafford Place, where Edwin undertook alterations for the Rt. Hon Leslie Hore-Belisha in 1937. The Trusts asks for a voluntary donation of £10 for this event. Alternatively, send your name, address and email to Rebecca Lilley, Trust Secretary, Danewood, Denwood Street, Crundale, Canterbury, Kent CT4 7EF, along with a cheque made payable to The Lutyens Trust. By train: the nearest Railway Stations are Victoria and Vauxhall, both a 16 minute walk to the meeting point. By tube: the nearest stations are St James’s Park (Circle & District) and Pimlico (Victoria), both an 11 minute walk to the meeting point. For local bus information, please contact Rebecca via general@lutyenstrust.org.uk.